How Many VDC can be configured in Nexus Switches? What is major difference between SUP2 and SUP2e? How can we limit the no of path in routing table of Fabric-path ? What is the command is used to verify the “HSRP Active State” on a Nexus 7K ? What is vPC and what are its benefits? What is vPC Peer Link ? What would happen when vPC Peer link goes down? How do I verify the features enabled on Nexus 7000 Series Switch with NX-OS 4.2? How many syslog servers can be added to a Nexus 7000 Series Switch? what is use of G bit while using HSRP with VPC ? Which Nexus 7000 modules support Fibre Channel over Ethernet (FCoE)? What is Static Pinning? What is the max limit of Pinning of Links can be set when we use Port channel? How do I check the Network Time Protocol (NTP) status on a Nexus 7000 Series Switch? How do I implement VTP in a Nexus 7000 Series Switch where VLANs are manually configured? Is there a best practice for port-channel load balancing between Nexus 1000V Series and Nexus 7000 Series Switches? Nexus – “show feature“. What is equivalent command in 6500 ? Why leaf switch should be root bridge in nexus fabric path ? Commands to check the list of Modules? How to find Unique Host ID of Nexus Device for Licensing? What is the main Difference between M series Line Card and F Series? What are the Spanning Tree Modes available on Nexus 7K and 5K? what is vPC? How it is different from VSS? what is vPC Peer Keepalive? What happens when this link goes down? Does a Nexus 2k has an operating system (OS)? What is difference between shared mode vs dedicated mode ? Can we connect a Nexus 2k to Nexus 7k? Can a device in one VDC communicate with device in another VDC ? Can we mix different cards like M1/M2/F1/F2 in same VDC ? What are the differences between VPC and VSS ? How many FEX can be connected on Nexus 5000? What are the differences between M and F series line cards ? Which models and series of Nexus are presently in market ? Does nexus 5K support VDCs ? What is vPC peer check? How does it stop loops? Does the Nexus 7000 support MPLS ? Which Line card type of Nexus supports OTV ? What hardware and licenses are required in a Nexus 7000 LISP deployment? What hardware and licenses are required in a Nexus 7000 FCOE deployment? What hardware and licenses are required in a Nexus 7000 FabricPath deployment? How do I verify packet drops on a Nexus 7000 Switch? 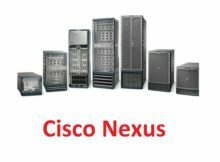 Which tool is used for configuration conversion on Cisco 6500 series to the Nexus platform ?